One of the things geologists are curious about is how the Earth has changed from the past to the present. They study how mountain ranges have changed, how new landforms have been created, then changed or destroyed. Volcanoes create new land, weathering and erosion wear away rock and carry the pieces (sediments) to a new location. By understanding the past, geologists are able to have some very good hypotheses about what these processes will bring about in the future. 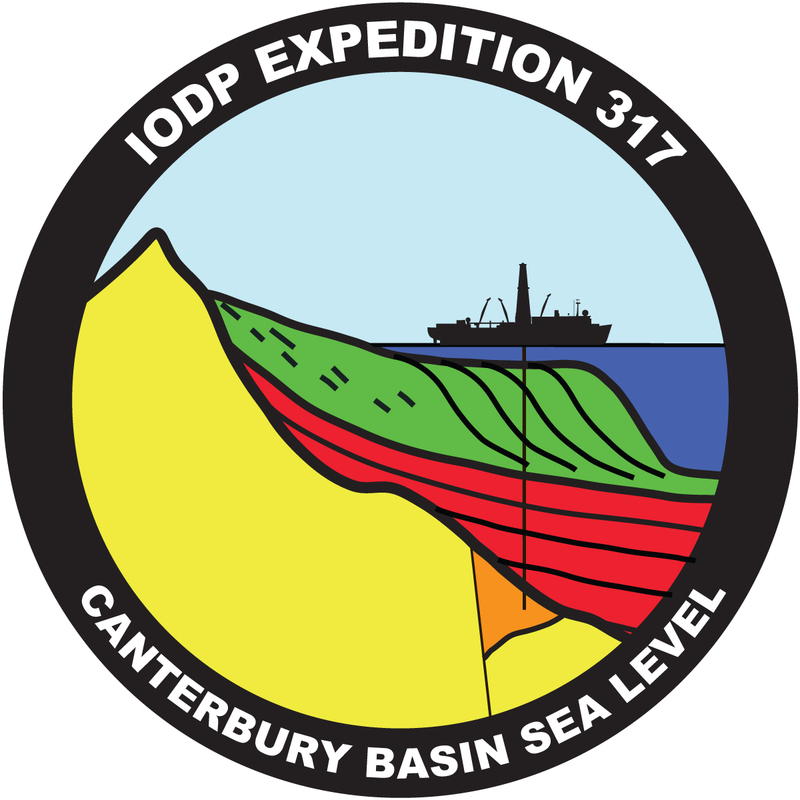 On Expedition 317, the scientists investigated ancient changes in sea level. In other words, how deep was the ocean in the past? One way that we can get information about sea level is by studying cores of ice from the Antarctic. These ice cores are like a frozen snapshot of the past, and tell the scientists things like how much oxygen was in the oceans and what different chemical wers present. The other way scientists can study sea level is to look at the rock formations in an area. Beaches turn into very different kinds of rocks than the mud and ooze in the deep sea. When scientists find rocks of a certain type, it tells them what the environment was like when the rock was formed. Fossils found in the rock can also help them determine how old these rocks are. This allows them to infer how deep the sea was at the time these rocks were formed. The part of the Earth where New Zealand is located has a great deal of geologic activity. Earthquakes and volcanoes are common. Sometimes this activity actually causes the land to be pushed up higher out of the ocean. This can cause some confusion in the rock record because rocks that used to be underwater are now much higher up. The scientists on this expedition worked to figure out how much of the change in sea level that we see in the rock record is caused by actual rise and fall of sea level (because of glaciers freezing and melting), and how much of it is because the rocks got pushed up out of their ocean home. This was a very exciting expedition for the JR becuase the water is much shallower than water the ship usually drills in. This means the core came up on to the ship very rapidly and gave the science party lots to work with in a short period of time. Really it is an exciting expedition. I think once this expedition is over, Scientist like Craig and Koichi will be able to deliver the world new and valuable information about these things. Apart from the lot of unanswered questions about the sea and rock will be answered. I think, it will be a great achievement for the science world. Hope they will be able to collect the required core and get a result of their mission soon. I have a doubt that I wish to be cleared, is the inside cabins of the ship soundproofing done? Would we be able to hear the under water current flows. Don’t know about soundproofing, but you can hear water in some cabins. Upper ‘tween (which is below the water line) is very quiet, though — like being in a comfy cocoon!